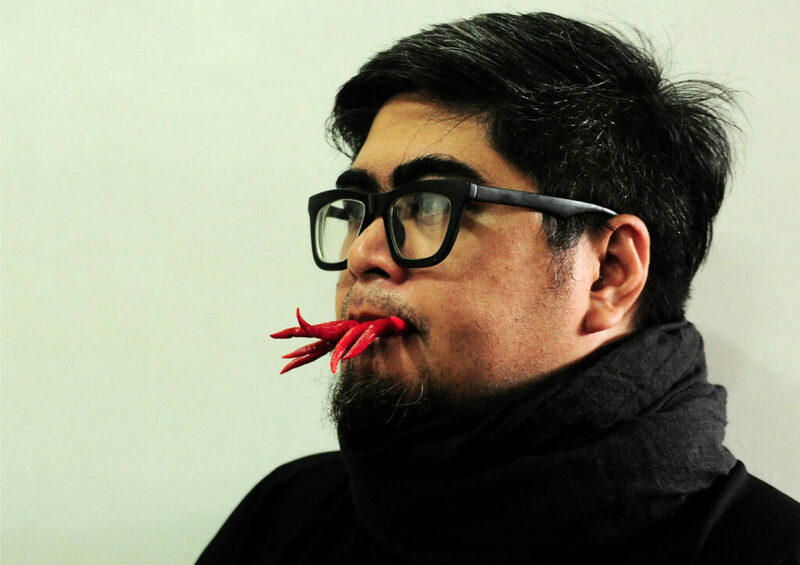 Jef Carnay is a Filipino visual and performance artist practicing since 1999. He has exhibited, performed, and worked as a live art curator locally and internationally, and participated in international artist residencies. He is the Assistant Treasurer of Filipino Visual Arts and Design Rights Organization, a collective management organization for visual arts and design, and a core member of TutoK artists’ initiative. Carnay is the convener of the art event Bulong, a night of poetry, songs and other performances, and the director of Hostile Creatures, an art happening that features performance art practitioners. He is also the lead vocalist of the band earthfishfish.